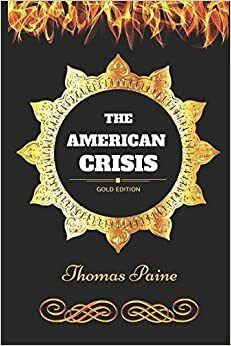 The American Crisis is a pamphlet series by 18th century Enlightenment philosopher and author Thomas Paine, originally published from 1776 to 1783 during the American Revolution. Often known as The American Crisis or simply The Crisis, there are 16 pamphlets in total. Thirteen numbered pamphlets were published between 1776 and 1777, with three additional pamphlets released between 1777 and 1783. The first of the pamphlets were published in Pennsylvania Journal. Paine signed the pamphlets with the pseudonym, "Common Sense." The pamphlets were contemporaneous with early parts of the American Revolution, during a time when colonists needed inspiring works. Paine, like many other politicians and scholars, knew that the Colonists weren't going to support the American Revolutionary War without proper reason to do so. They were written in a language that the common man could understand, and represented Paine's liberal philosophy. Paine also used references to God, saying that a war against Kingdom of Great Britain would be a war with the support of God. Paine's writings bolstered the morale of the American colonists, appealed to the English people's consideration of the war with America, clarified the issues at stake in the war, and denounced the advocates of a negotiated peace. The first volume begins with the famous words "These are the times that try men's souls." could I get that type of info written in such a perfect manner?